Belmont University is celebrating this year’s Christmas season with a number of free concerts that are open to the Nashville community, as well as the annual televised airing of the holiday spectacular, “Christmas at Belmont.” This year’s concert line-up began with The Nashville Children’s Choir performance, on Saturday, December 9, featuring the premiere youth choir’s renditions of traditional Christmas music. The Belmont Camerata will offer its annual presentation of “A Camerata Christmas,” featuring Corelli’s Christmas Concerto and bluegrass-style carols, on Monday, December 11 at 7:30 p.m. in the Belmont Mansion. The University’s Christmas concert series will conclude with the annual Christmas Eve Carillon Concert, held on Sunday, December 24 at 2 p.m. at the campus Bell Tower, located just off the corner of Belmont Blvd and Portland Ave. Continuing a tradition begun during the Ward-Belmont days, the concert features traditional Christmas music played by longtime campus carillionneur and Professor of Music Richard Shadinger on the tower’s 42-bell carillon, one of five carillons in Tennessee. Of course, the holiday wouldn’t be complete without the annual “Christmas at Belmont” special. A presentation of this year’s performance, which featured world-renowned musician Sheryl Crow as guest artist and more than 700 students, faculty and staff musicians from the School of Music, will be shown in Middle Tennessee by Nashville Public Television (NPT-Channel 8) on Thursday, December 14 and Friday, December 22 at 8 p.m. and Christmas Day at 3 and 11 p.m. (CST). 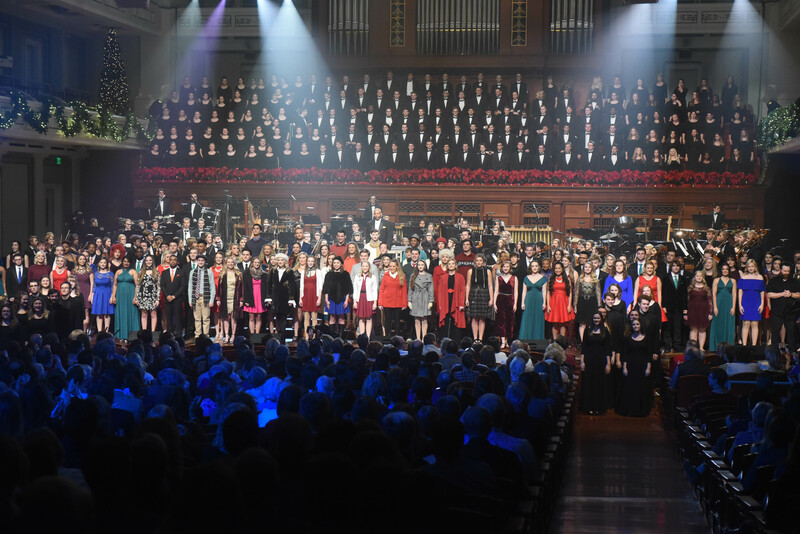 National viewers can enjoy the holiday spectacular on PBS December 22 (check local listings for times). This is the 15th consecutive year “Christmas at Belmont” will be seen by a national audience on PBS.